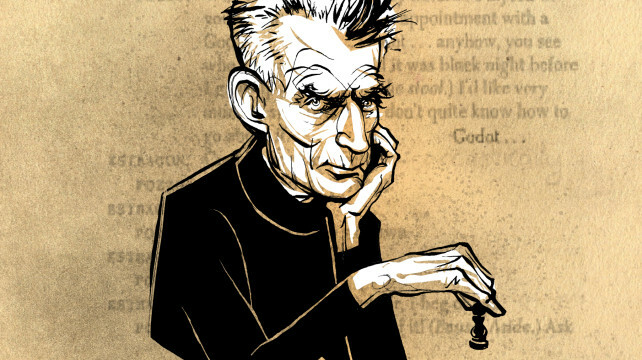 So a major festival devoted to Samuel Beckett is about to launch: indeed, a several-month-long, city-wide focus on a playwright and writer who happens to be one of my favorites. Enlisted in the undertaking are no fewer than 15 arts organizations based in Seattle. Why has this been so poorly publicized?! Already I can see so many opportunities for other collaborations here — with the Seattle Chamber Players, for example — or with relevant groups who likewise know nothing about this. I happened to run across a notice of the opening event by chance: Life = Play at West of Lenin, starting August 14. Buckets of Beckett. When it rains, it pours. No, it does not rain; it does not pour.